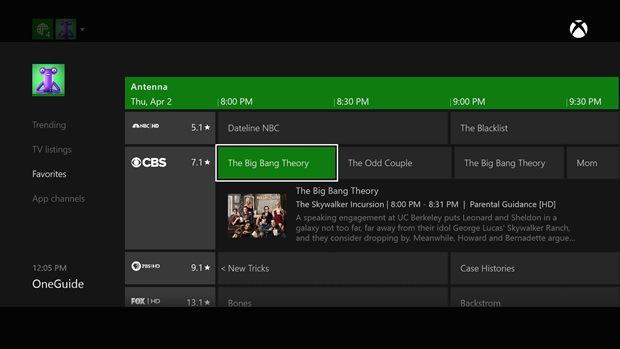 Xbox One’s new live over-the-air network broadcasts could soon include a DVR option. Ars Technica, citing a Thurrott post, as well as unnamed sources, reports that the recording tool could appear on the Xbox One as soon as the end of the year. The addition of DVR capabilities on the gaming system would further differentiate it from its rival PlayStation 4, which doesn’t offer such options. Sony does, however, offer its PlayStation Vue live TV streaming service in select markets. That service does include access to some local broadcast channels. According to Ars Technica, there’s really no reason why the Xbox One shouldn’t be able to accommodate a recording feature, as the device could theoretically store shows that pass through the external HDMI to its hard drive or even a USB drive. However, the publication does point out that while DVR capabilities would likely be convenient for consumers, it might pose a few issues with content providers selling products through the Xbox video store and other outlets.